SPECTACULAR, EXECUTIVE ground floor apartment set within this GATED DEVELOPMENT. 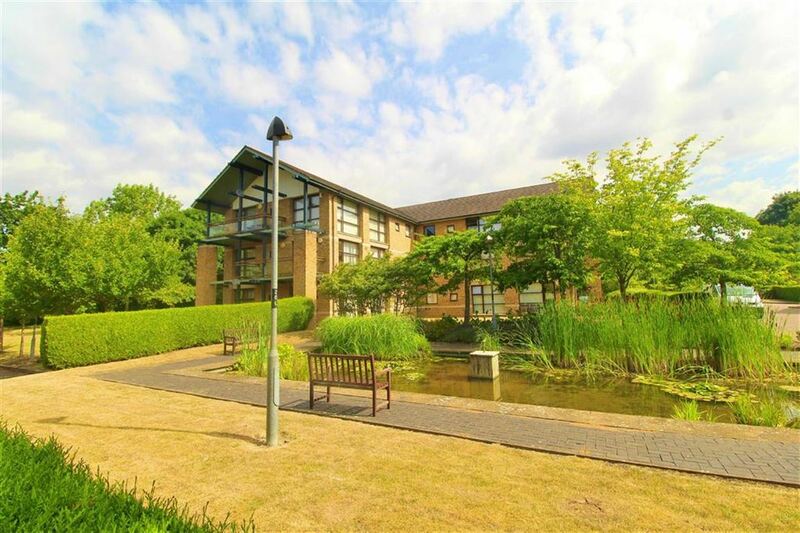 Adjacent to Lodge Lake and WITH BEAUTIFUL COMMUNAL GARDENS, these apartments are RARELY available and this must be seen. A truly rare opportunity to acquire a stunning apartment within this exclusive development. This modern four bedroom ground floor apartment is set within gated grounds. The apartment boasts an entrance hall running the full length of the property, opening onto a 28' sitting room which has full height windows to three aspects, and a garden terrace. The kitchen has integrated appliances. The master bedroom includes an en-suite shower room and dressing area with ample wardrobe space. There are a further three bedrooms, a family bathroom, and utility room. To the outside is a single garage just outside the apartment with parking to the front and additional visitor parking. The four pavilions are set within well established communal gardens with two feature ponds, shrubs, hedging and lawn areas all within walking distance to Lodge Lake and parkland. Loughton Lodge is situated on the fringes of both Great Holm and Loughton. The area is separated from Great Holm by Lodge Lake where members of the local angling club fish. Loughton Lodge consists of a small exclusive development of apartments and is situated within close proximity of the National Badminton Centre, which co-exists with a health club. Loughton Lodge is positioned just over two miles away from The Centre MK and approximately 1 mile away from MK Central railway station. Security communal door, stairs leading to all floors, tiled flooring in the vestibule area, the apartment is on the ground floor. Double glazed window to side aspect, two full height double glazed windows to rear aspect, full height double glazed window to side aspect, two electric storage heaters, electric panel heater, wooden flooring, telephone point, TV point, coving to ceiling, four wall lights, ceiling spotlights, double glazed door to garden terrace. Fitted with a matching range of base and eye level units with worktop space over with under-lighting and drawers, matching breakfast bar, 1+½ bowl stainless steel sink unit with mixer tap, built-in integrated fridge/freezer and dishwasher, built-in eye level electric oven, built-in four ring electric with extractor hood over, double glazed window to side aspect, ceramic tiled flooring, ceiling spotlights. Double glazed window to side aspect, built in wardrobes. Fitted with three piece suite comprising tiled double shower cubicle, wall mounted wash hand basin, low-level WC and heated towel rail, extractor fan tiled surround, tiled flooring. Double glazed window to side aspect, electric panel heater. Double glazed window to side, electric panel heater. Double glazed window to side aspect, electric panel heater, coving to ceiling. Fitted with three piece suite comprising sunken bath with hand shower attachment, wall mounted wash hand basin and low-level WC, tiled surround, heated towel rail, extractor fan, tiled flooring. There are communal gardens within the gated development with ponds, shrubs, hedging and lawn areas. Single garage with an up and over door, driveway in front. We have been advised that the Service Charge is £290/PCM. This includes Water, Gardening, Buildings Insurance, External Painting, Communal area cleaning, maintenance and electricity. We have also been advised that there are 979 unexpired years remaining on the lease. If you proceed with a purchase of the property you must get these details verified by a solicitor.